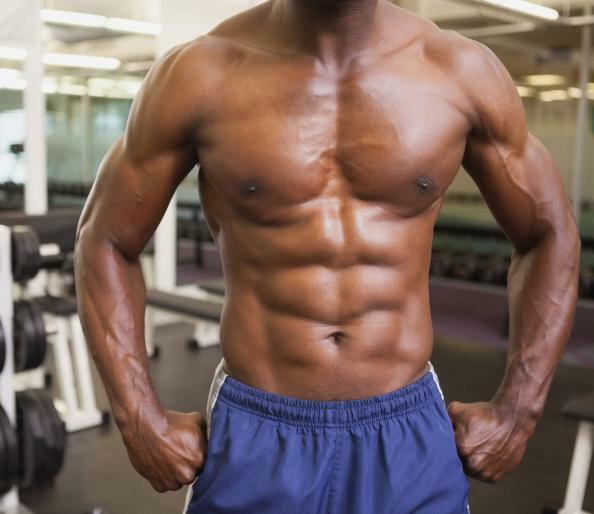 Never neglect your abs again with these 10 dual-purpose upper body exercises. “Abs are made in the kitchen.” Yes, that’s partly true, but they’re made in the gym too — for any muscle to grow in size and density, it needs stimulus. To sculpt a ripped six-pack, you’ll need to target your abs with more than just a few plank holds and ab-wheel rollouts. Every exercise you do should engage the core so your trunk is stabilized in space. Start with a barbell resting on your shoulders and collarbones. Grab the barbell with your hands slightly outside the width of your shoulders and your elbows slightly in front of the bar. Push the barbell vertically in a straight line and shrug your shoulders at the top of the movement. Bring back down to the starting position in a controlled manner.